“The Mac, iPod, Apple TV and iPhone. Only one of those is a computer. So we’re changing the name,” said Jobs. Formerly Apple Computer, the name change reflects the company’s newfound emphasis on consumer electronics. Jobs revealed the change following announcements on the new Apple TV and iPhone, with no new Mac configurations announced whatsoever. 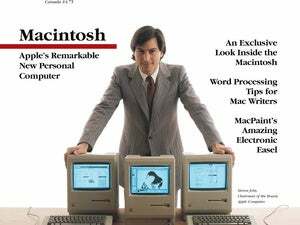 This story, "Apple drops 'Computer' from name" was originally published by PCWorld.